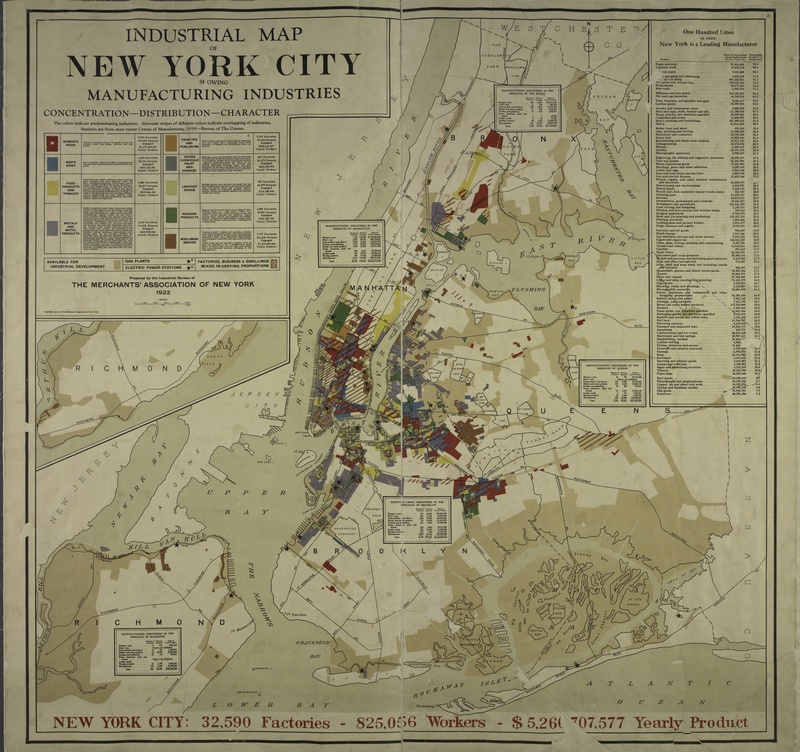 1922 Industrial Map of New York City @mfgday #MFGDay18 « Adafruit Industries – Makers, hackers, artists, designers and engineers! 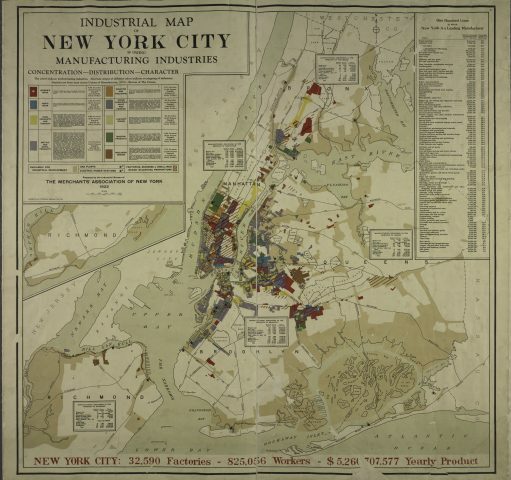 Geographer Richard Harris, writing about industry in the city between 1900-40 in the Journal of Historical Geography, points out that because of the particular products New York was known for (lapidary work, women’s clothing, millinery), many industrial workers were women. In 1939, they represented 36 percent of the total workforce. Workers in Lower Manhattan, where many garment factories were located, were particularly female.